Helping to mold your ideas into reality, we make sure that your construction project starts on the right path. Working closely with you, our design team defines project parameters at an early stage with preliminary planning and engineering. The pre-construction process allows us to identify potential issues, analyze cost impacts and find opportunities. As an owner, this will assist you in deciding the viability of the project, while laying the groundwork for an efficient and cost-conscious project. 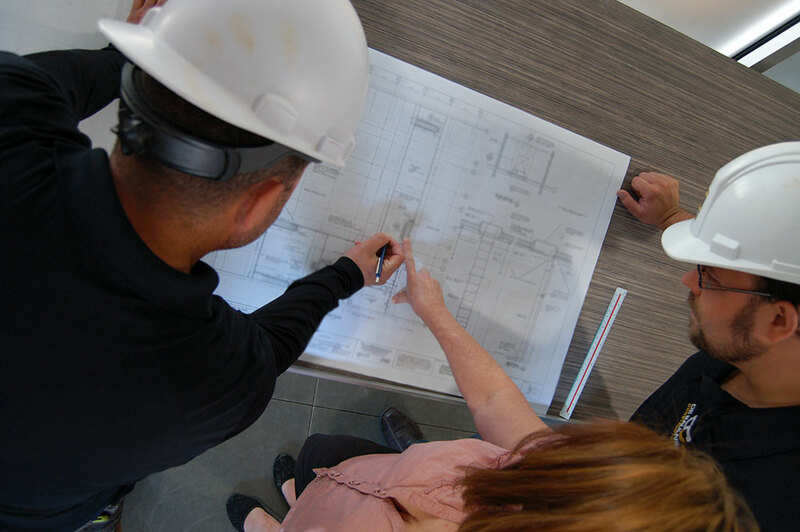 Our team understands the importance of preliminary planning steps at the beginning of a project. These initial steps can have a pivotal influence on budgets, timelines and finished products. During the conceptual design stage, project characteristics are identified as well as innovative solution, fostering opportunities. Taking your vision, we guide you along the way and ensure your construction project is developed to meet your needs and desires. The viability of a project often depends on costs; knowing this, we define projected prices by accurately estimating for any sized project. This is accomplished by our team of estimators with our extensive knowledge, leading-edge software and continual training allowing us to assemble project costs accurately. By being aware of precise and comprehensive project costs at an early stage, precise decision making is possible to determine solutions with minimal investment. From conceptual design, to building permit ready drawings, our designers identify design challenges and meld them into comprehensive precise construction drawings. Using the latest CAD and BIM software solutions, our qualified BCIN designers can assists you by developing renders and drawings. For larger project, building a team is key and we will work with the chosen architects and engineers to ensure an efficient design phase. These blueprints form the foundation of any well-organized project and can insure clarity and uniformity throughout the project particularly when dealing with municipalities and contractors.